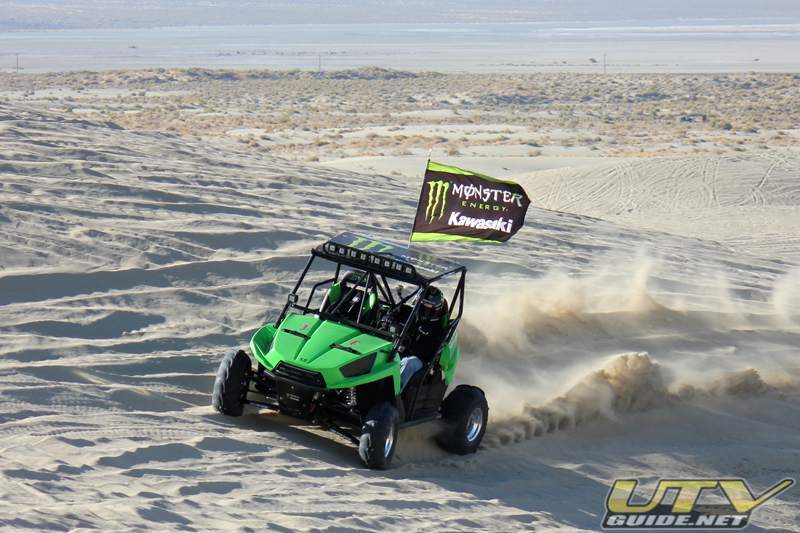 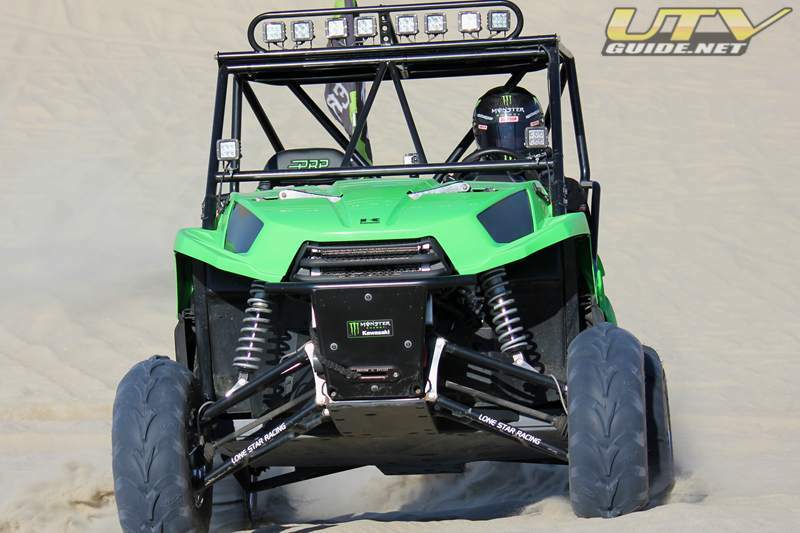 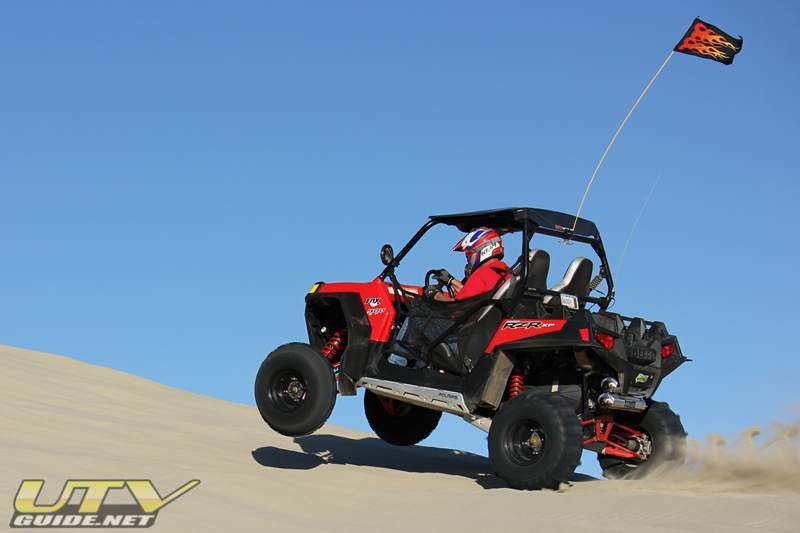 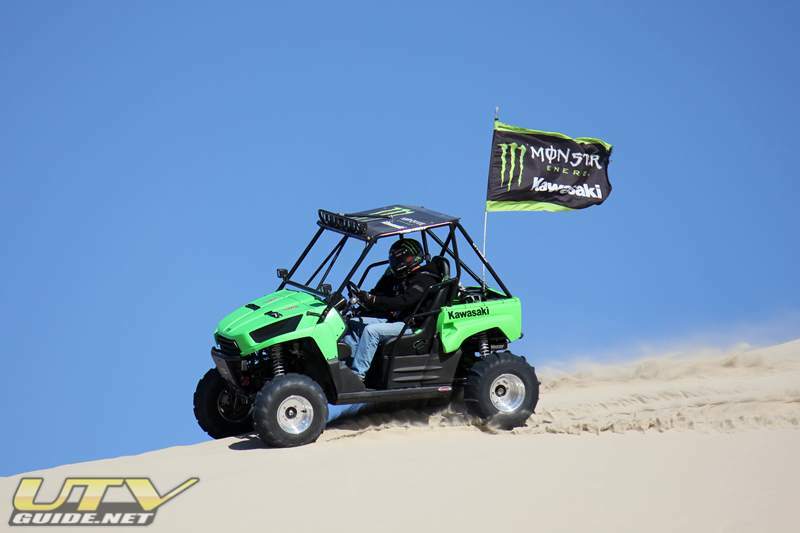 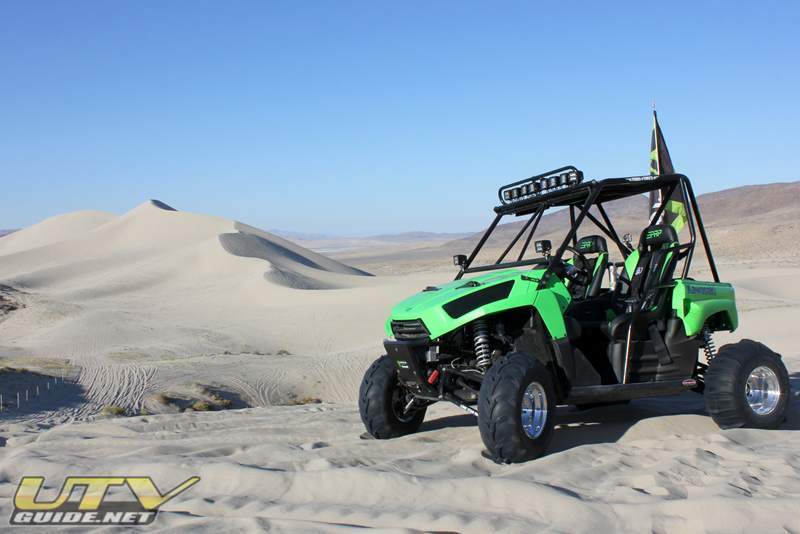 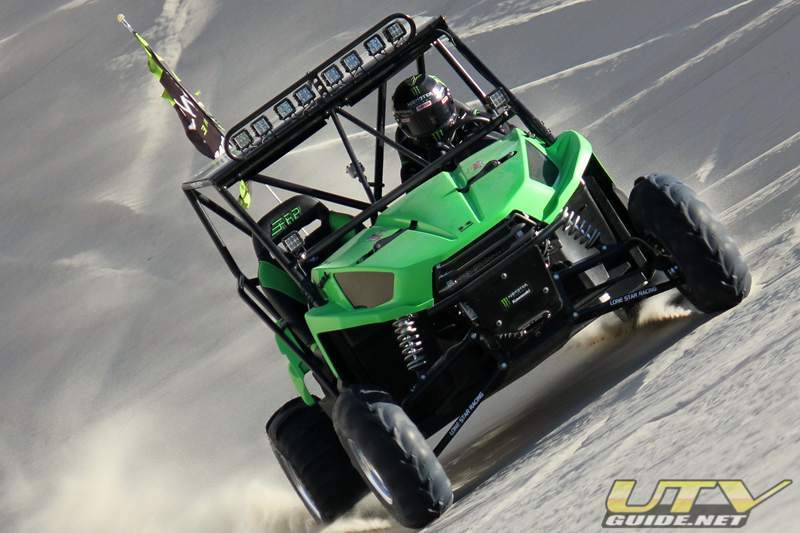 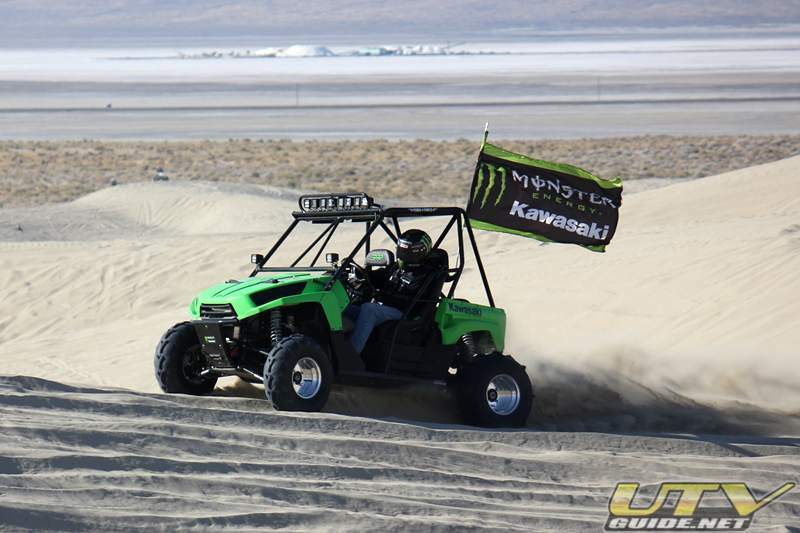 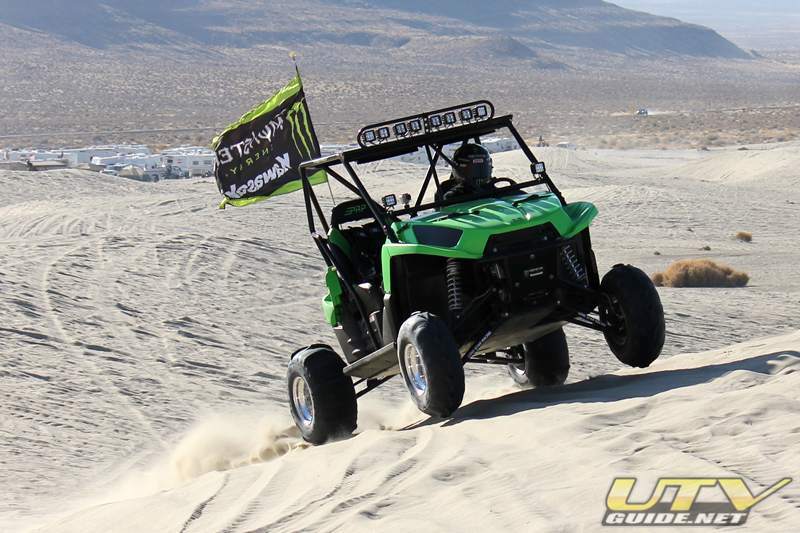 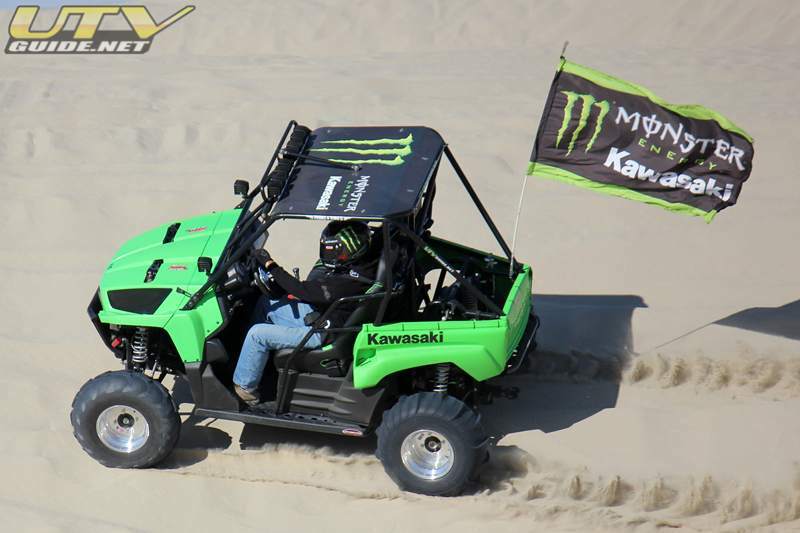 I traveled out to Sand Mountain to spend a few days riding my 2011 Kawasaki Teryx, and 2011 Polaris RZR XP. 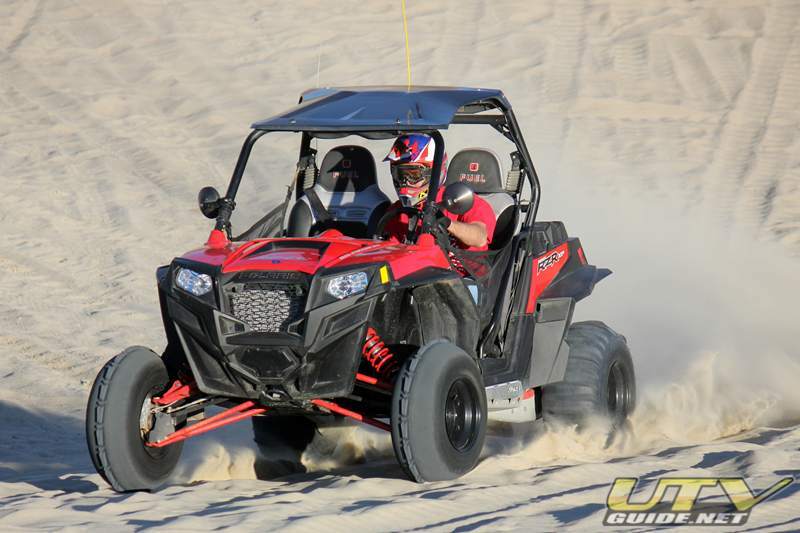 I had recently added Wicked Bilt power steering, upgraded Stage III Fox shocks, and Muzzys exhaust to the RZR XP and an SSV stereo, PRP seats,Pro Armor harnesses and new tires fromFullerton Sand Sports to my Kawasaki Teryx, so I was anxious to try all the upgrades out. 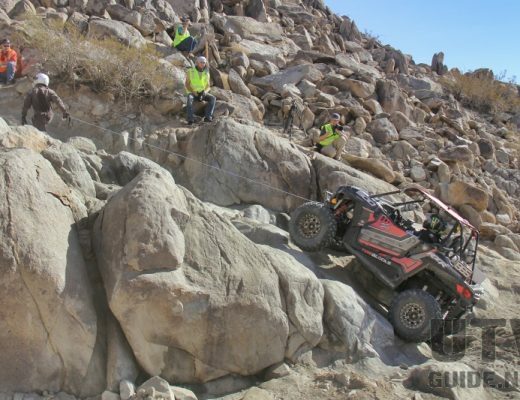 Joining me on this trip were Dave and Rich with their RZR XPs, and the guys over a Factory UTV had saved us a nice spot in their campground. 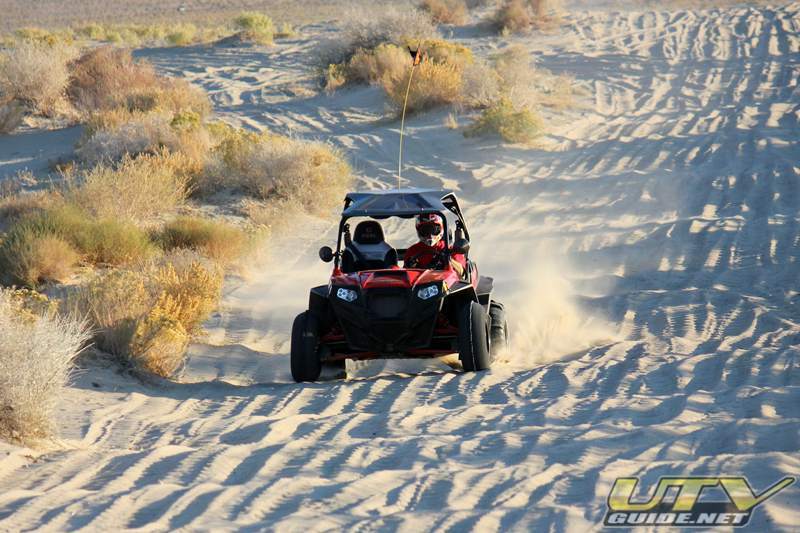 This was the first time I have been to Sand Mountain over Halloween weekend in many years. 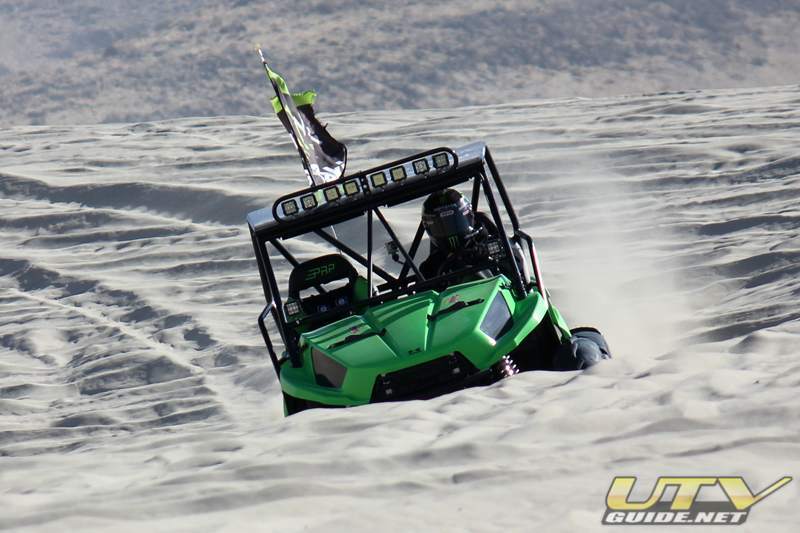 I had expected it to be crowded, but the place was packed! 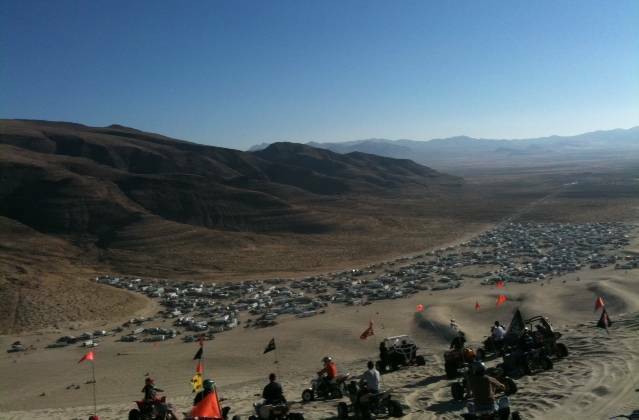 Since the mountain was so busy, be spent a lot of time avoiding the front side where the majority of the people stay. 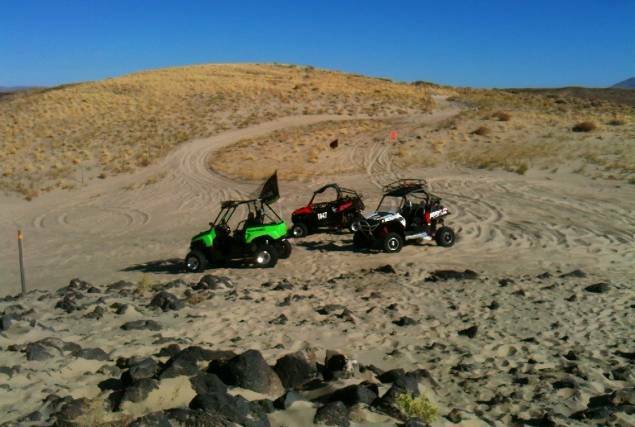 Rode up to where the monuments used to be and also out to End of the World.